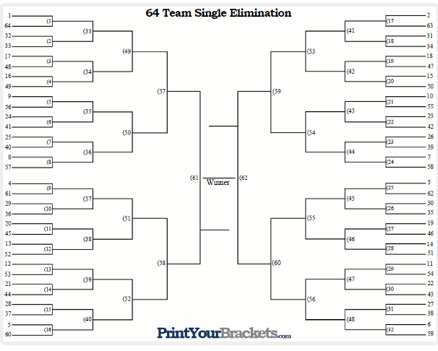 You can create one yourself or use an online tool (like printyourbrackets.com or freebracketgenerator.com) to create the proper size bracket for your tournament (typically 32 or 64 teams). Download the bracket file and customize – i.e. add tournament logo, sponsors, etc.